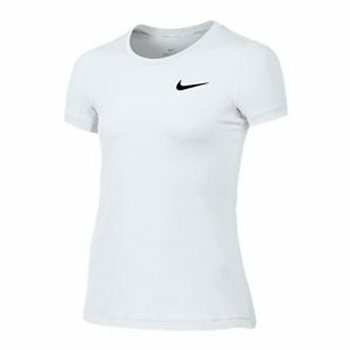 Girls' Nike Pro Cool Top has a fitted silhouette that's great for layering or wearing solo. Its nonrestrictive design allows for total mobility, while its mesh back panel helps you stay cool during high-energy practice and play. Nike Pro Cool fabric provides a sweat-wicking base layer to help you feel cool. Mesh back panel helps keep you cool. Articulated seams for a natural fit.